It’s not just opioids that are getting a bad rap from the federal government and the media. There’s another remedy for chronic pain which is in peril of being banned by the FDA and classified, along with heroin, as a Schedule I drug: kratom. “Kratom surfaced in the United States about a decade ago; an estimated 3 million to 5 million people use it, according to the American Kratom Association. People consume it by swallowing capsules of finely ground powder, drinking kratom tea or chewing and swallowing the plant’s bitter leaves. Some ‘toss and wash’ by putting a clump of powder in their mouths, followed by a slug of water. Regular readers of this blog know that there is a ground war going on on American soil – the War on Pain Patients – and the government’s very effective strategy is the public villification of opioid pain medication, medical cannabis, and kratom. In addition to their non-scientific campaigns to make bogeymen out of any and all available remedies for severe/chronic pain, the FDA and DEA have been hard at work creating obstacles to the purchase and use of kratom. 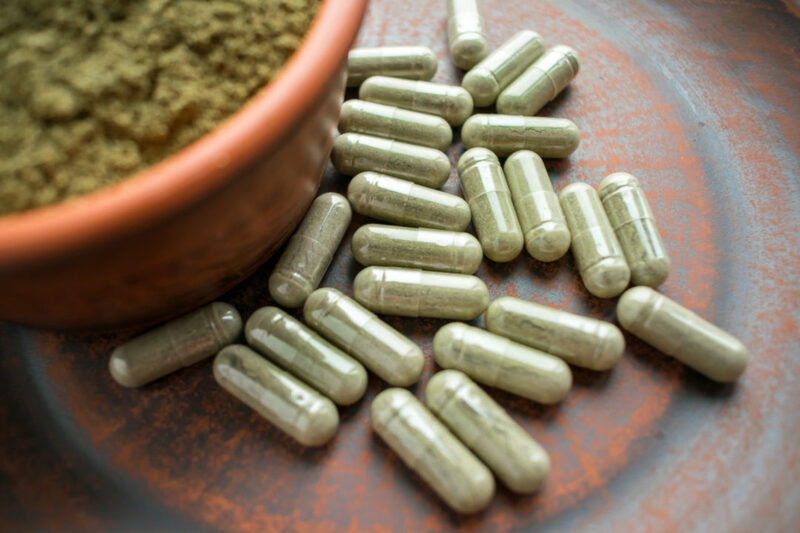 “Depending on how it is marketed, the FDA considers kratom either an unapproved drug or a new dietary ingredient whose safety has not been proved, making it subject to enforcement actions, including seizure. “In August 2016, the DEA announced plans to temporarily place kratom’s active materials in Schedule 1 of the Controlled Substances Act ‘to avoid an imminent hazard to public safety.’ It said kratom had a high potential for abuse, did not have any currently accepted medical use and was not considered safe even when used under medical supervision. For many people in the facial pain community, Megan George’s story hits close to home. “Megan George of Lexington, N.C., was prescribed opioids for chronic pain until a doctor told her that she no longer needed them. Desperate and in withdrawal, she turned to heroin and quickly became addicted. She tried for years to quit by using medications for opioid addiction, but she never succeeded. “Last April, George, 31, tried kratom and says she has not used heroin since. In the past 10 months, she has held down her first job in years and is finally the parent she dreamed of being to her 2-year-old daughter. The story is familiar and describes a hideous pattern of government sanctioned patient abuse. The patient is prescribed opioid pain medication. The medication works and she is well managed with no history of substance abuse. The CDC issues “guidelines” for the prescribing of opioids. In fear of losing his license, the patient’s doctor says that she does not need opioid medication after all and refuses to write any further prescriptions for it, subtly suggesting that the patient is seeking opioids for reasons more nefarious than pain management. The patient then begins seeking opioids in an effort to stave off withdrawal and achieve the pain relief which was denied to her by her doctor. Ironically and predictably, this leads her directly to street drugs and addiction, the problem that the government claims to be solving by cutting off access to pain meds. The patient finds an herbal preparation that gives her relief: kratom. It also has the added benefit of enabling her to get off of the street drugs that the denial of opioid pain medication led her to in the first place. The government now threatens to take that pain reliever away, too. Many patients lives are destroyed by the ravages of severe pain, addiction, withdrawal, and the acute stress and anxiety that is unique to a person who lives in pain and in fear that the government will deprive her of nearly every option. Some of these patients are exercising their last option, and the blame for their deaths can be laid squarely at the feet of Uncle Sam. How do you feel about the government’s efforts to ban kratom? If you have tried kratom for facial pain, what was your experience? Feel free to comment below or on our Facebook page. Previous Post What Is the Sound of One Hand Clapping? The FDA and the pharmaceutical companies are hand in hand. Up until about a year ago, I knew nothing about kratom. In my search to find something to relieve my trigeminal neuralgia, I came across kratom. I joined a few Facebook groups and lurked in the shadows trying to educate myself. I am a pharmacist and this was not part of my education. I think some healthcare professionals and politicians are against things they don’t understand. I have tried kratom and it benefits me about as much as some pharmaceuticals. But, in my learning process, I have discovered that kratom is a lifeline for a lot of people. If kratom is rescheduled, I feel, there will be more people on opioids.